Autumn is officially here, but that doesn’t mean you have to stay indoors. 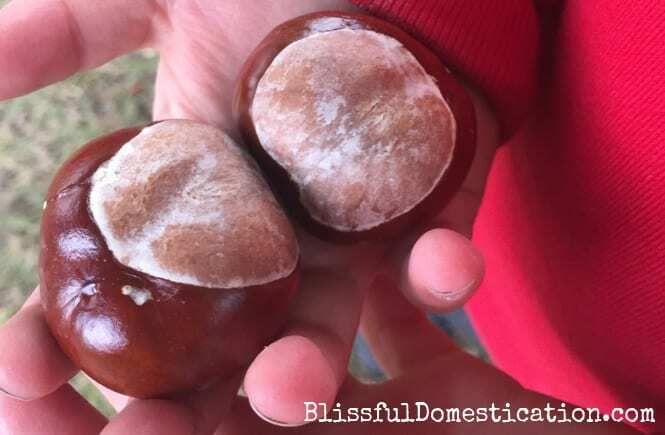 I love the changing of the seasons, and love wrapping up warm and finding some outdoor Autumn activities to do with the kids. So if you’re stuck for ideas, here are a few of our favourite things to do when the leaves start to fall. Autumn is a great time to plan a scavenger hunt. There are acorns and conkers in abundance, as well as other seeds such as beech or maple. It’s really simple to come up with your own scavenger hunt. 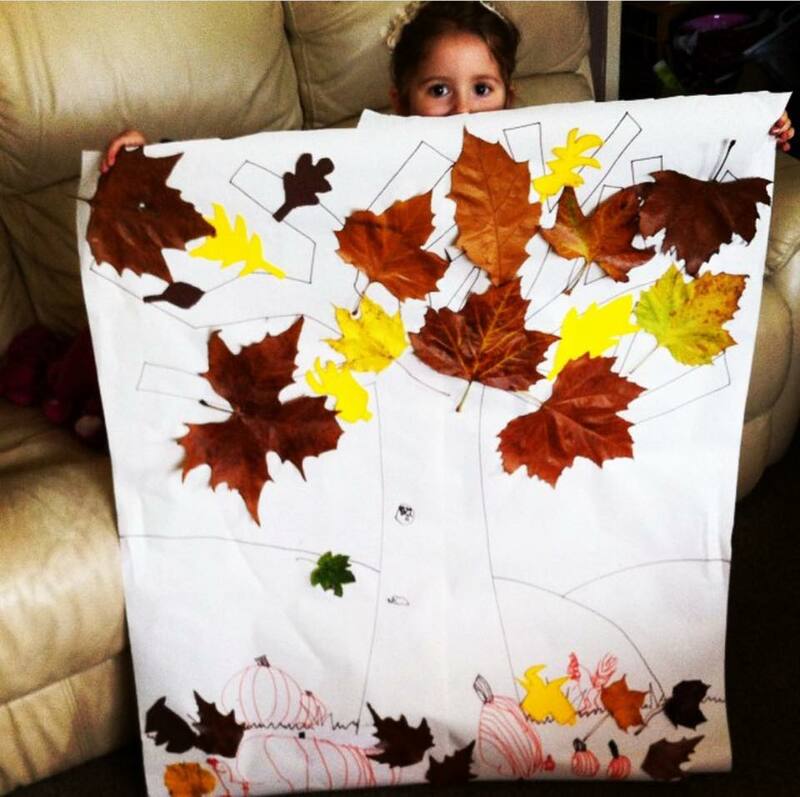 For older children you can use specifics like an Oak leaf or Horse Chestnut leaf. If you have younger children you may want to keep it more simple and just have a red leaf, brown leaf, feather etc. I created my scavenger sheet with pictures of the objects to find and laminated them to make them more sturdy. We set off to our local forest with our buckets and sheets and that’s it, hours of entertainment! 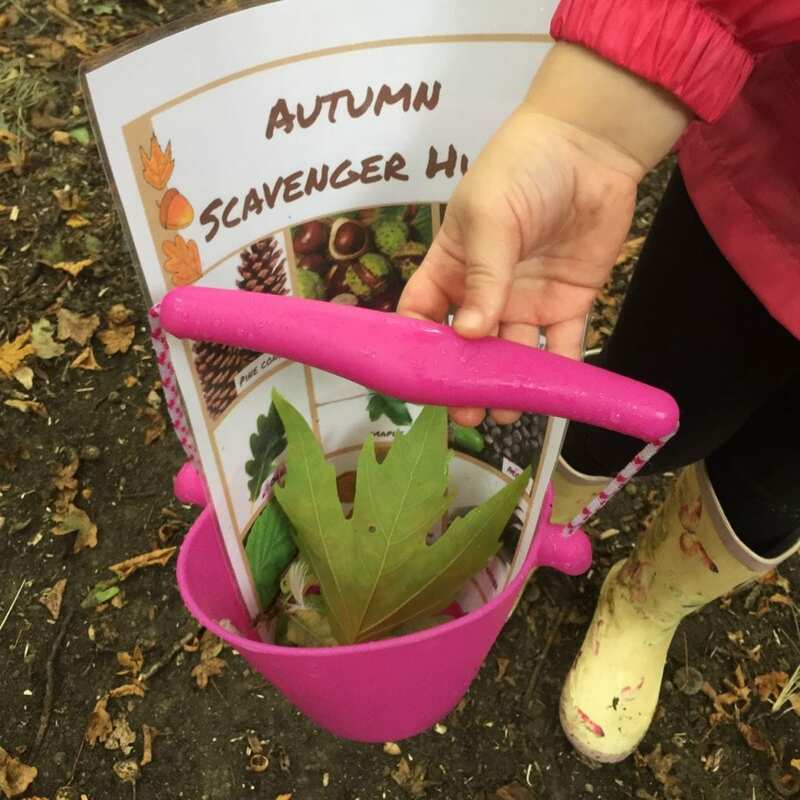 You can read all about our autumn scavenger hunt here. The hedgerows around us provide us with lots of wild berries, and autumn time is a great time to go foraging. Wild blackberries are around August and September and although we are now getting to the end of the season, there are still a few around. We are also lucky to have lots of wild elderberries and sloes around by us, and the kids like hunting for them. All I would advise is that if you don’t know what something is, don’t pick it, better safe than sorry! You can also go foraging for mushrooms. This is not something I know too much about, and obviously you have to be very cautious with the kids touching them. However there is a great blog post about it at Living Unplugged, which I would suggest you have a read of before picking any wild fungi. If foraging hedgerows is not your thing, then why not try your local fruit farm? 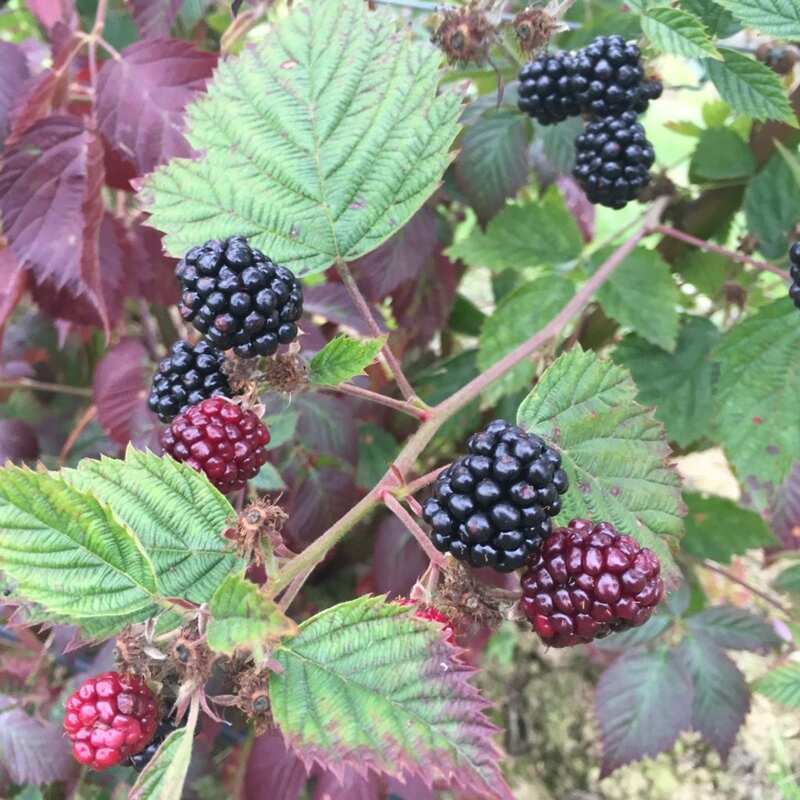 Whilst the Summer berries are long gone, many fruit farms still have PYO way into the Autumn. We went to our local fruit farm the other day and got lots of delicious blackberries and apples to make jam and pies. Plums are still around at this time, and some PYO farms have sweetcorn too. I love conkers. When I was at primary school I remember taking in our conkers carefully placed on a shoe lace and had conker fights and championships in the playgrounds. I also remember my dad baking them in the oven and doing all sorts of other cheats tricks, to make them harder! 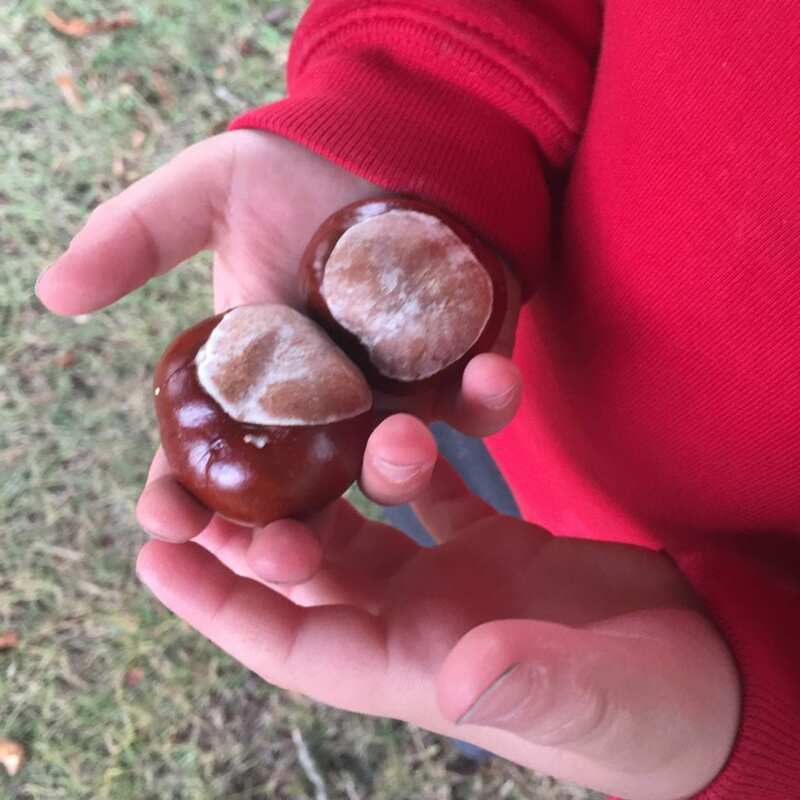 Sadly you can’t take conkers into school anymore (health and safety I suspect!!! ), but it doesn’t mean the kids can’t play with them at home. My two are still quite little, so it’s supervised play, but still a lot of fun. Conkers are also great for some great Autumn crafts, they can be strung together to make necklaces, or with the use of some cocktail sticks or matches be made into people or animals. 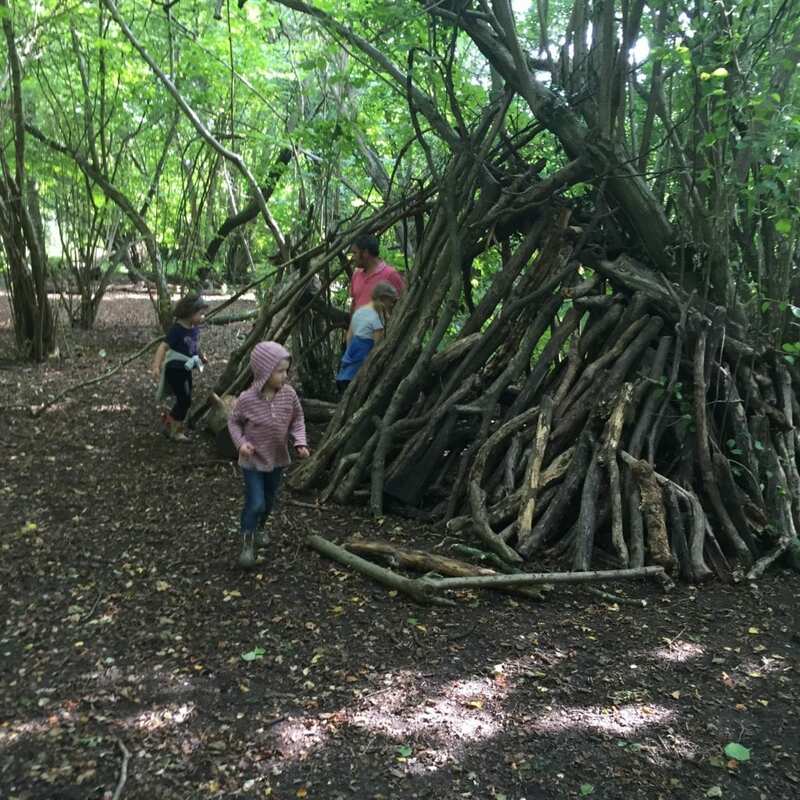 We spend a lot of our time at our local National trust forest, which has an ideal areas for making dens. Oliver loves doing this with his daddy. They have made some truly awesome dens, with doors, windows, seats and even fake camp fires! Truth is though you don’t necessarily need a forest to make a den, Oliver can create his own ‘secret hideouts’ practically anywhere. Under a tree, a clearing in a hedge or the top of a climbing frame. Anywhere there’s a space and as long as he has his imagination with him. Just because the weather has got a bit cooler, doesn’t mean the arts and craft activities have to stay inside! Do you remember doing this at school? 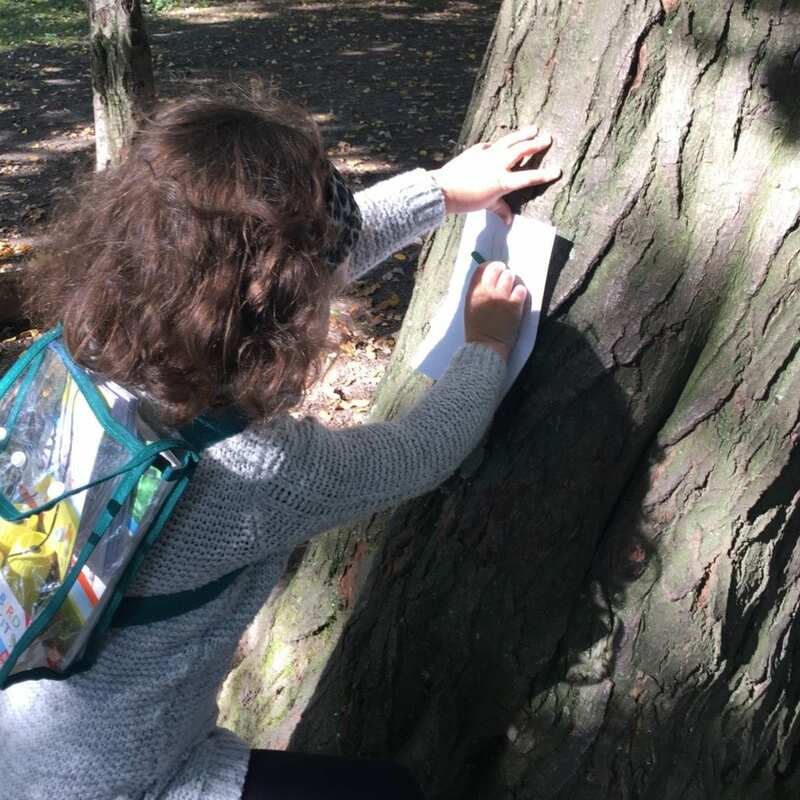 I remember a school trip once to a local park and we had to try and do a rubbing of all the different types of tree bark. All you need for this is some paper and crayons. I have found that the trees with more finely detailed bark like the Silver Birch for example give the best rubbing. With Autumn comes falling leaves in a range of beautiful colours. We like to go for a little walk and collect as many different types of leaves in an array of colours and use them for our art projects. 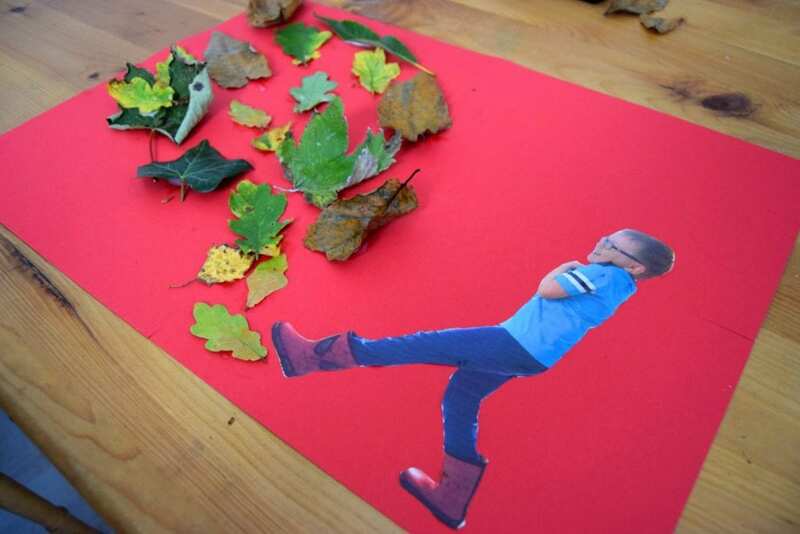 There are loads of different collage ideas that use leaves. On of our favourites is this bonfire night themed collage which we did last year. 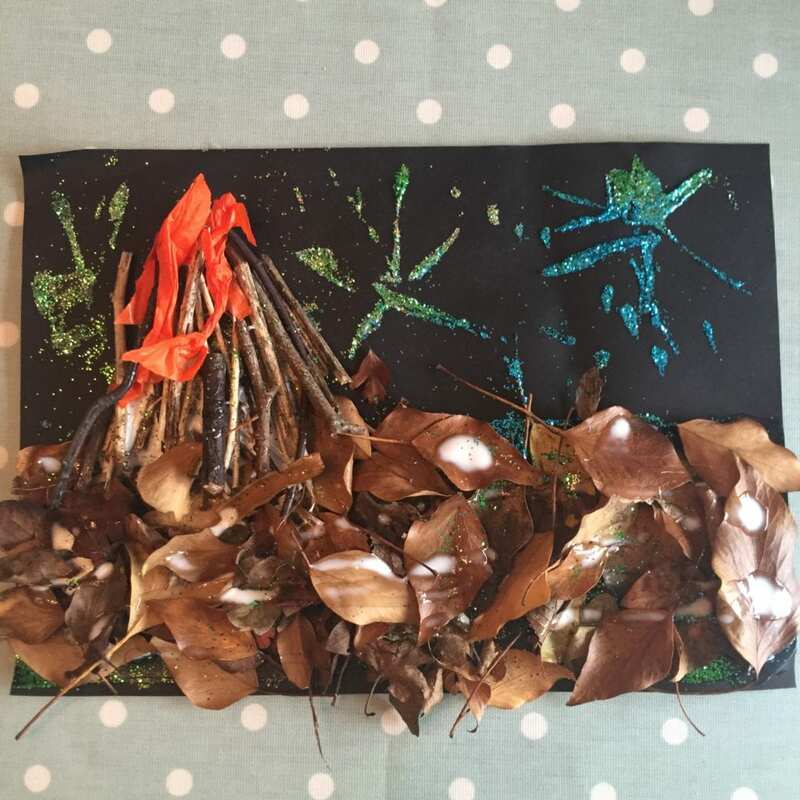 If you need more inspiration check out these fab leaf collage from my fellow parenting bloggers. 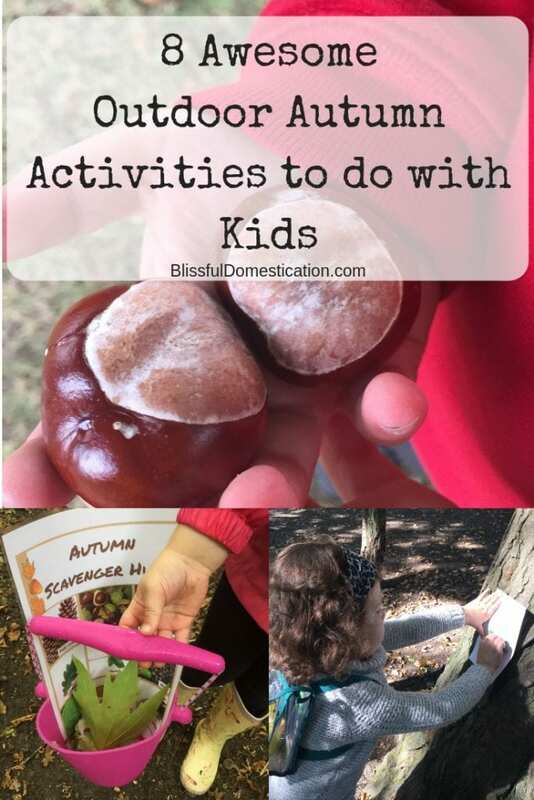 I also love the idea of the leaf catching game that is on Living Life Our Way’s blog post of their Fun Family Activities for Autumn, must try that next time we go out on a windy day, sounds like fun! 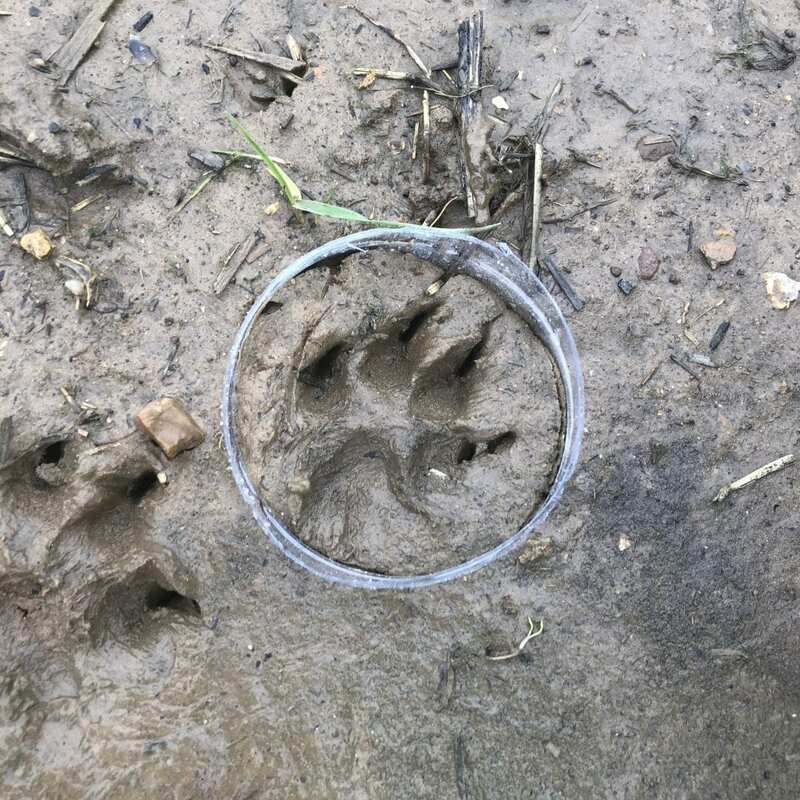 As the weather gets a bit wetter, and the ground gets a little softer, it’s the perfect time to go on a footprint hunt. Often around where we live, other than people and dogs, we will see bird, deer and possible fox foot prints in the clay soil. If you are feeling super adventerous you could even try casting the footprints that you find. If you would like to give it a go then check out our post on How to Cast Animal Footprints. 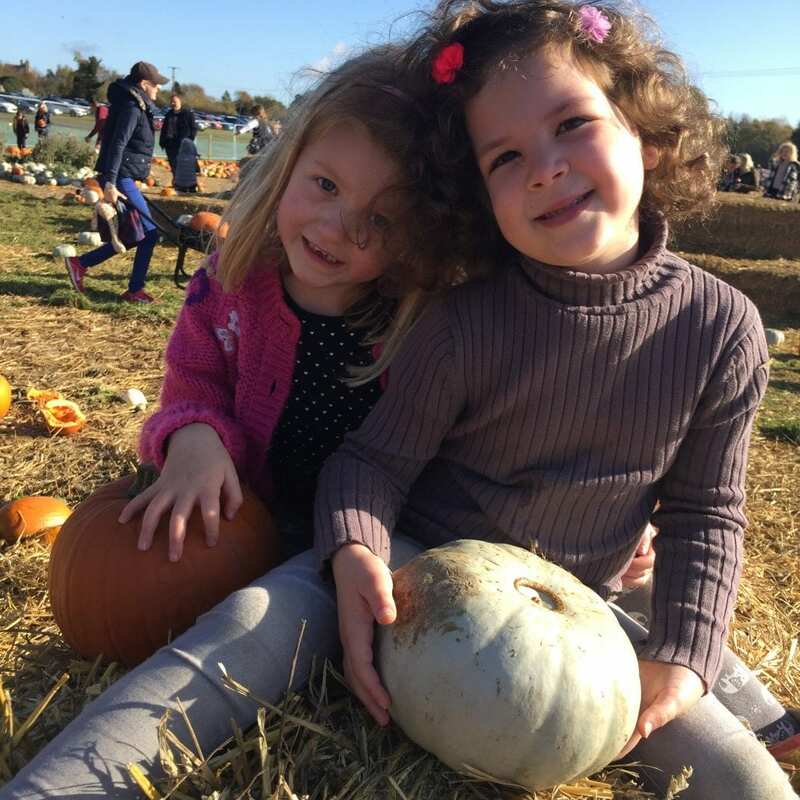 With Halloween around the corner, pumpkin patches are a hot destination. 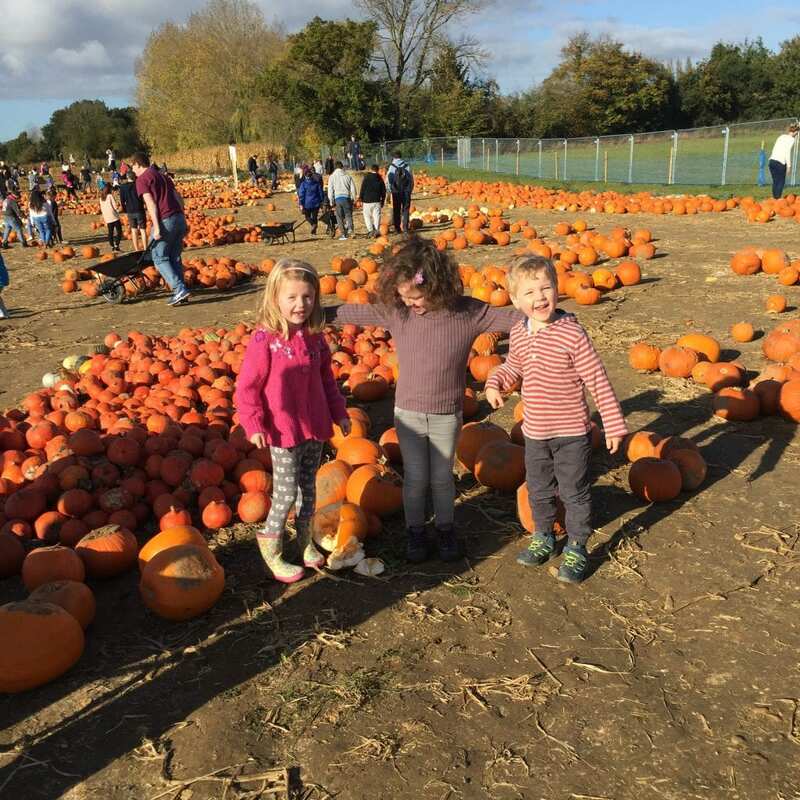 Lots of pumpkin patches have childrens play areas and activities, so something so simple as choosing your Halloween pumpkin can turn into a day out with the kids. If you’re not into Halloween or carving pumpkins they are still a great place to go. You wouldn’t believe what culinary creations you can create from the humble pumpkin. Check out these sweet and savoury pumpkin recipes for some inspiration. So that’s some of our favourite outdoor Autumn activities to do with the kids, what are yours? I’d love to hear from you if you have any more ideas. If you would like some more inspiration for Autumn crafts and activities for kids, then check out and follow our Pinterest board. Fantastic the pumpkin patch was awesome. It was, so going to go again this year! I tech Reception aged children and there are some truly lovely ideas here! We collected conkers today and they loved rolling them in paint. I love all of these! I can’t believe it but we have never visited a pumpkin patch so I’m going to do some research into whether there are any nearby! 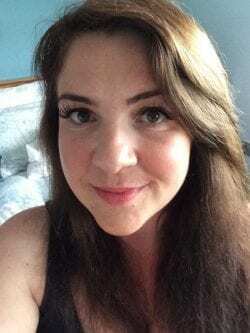 Your Oliver sounds very much like my son – he is desperate to make a den whenever we are outdoors (which is a lot of the time!) and really comes up with some imaginative hideouts! We did some leaf rubbing recently but I’d completely forgotten about bark rubbing so thank you for the reminder!